The World Chess Championship 2016, will begin tomorrow (Friday 11th) in New York City. Reigning Champion, Magnus Carlsen, will begin the defence of his title against Sergey Karjakin of Russia. 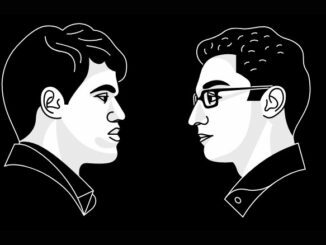 It will be a 12-game match, with the first to 6.5-points being declared the World Chess Champion. In this opening report, I am going to take a look at the match, providing you with all necessary information, as well as having a quick look at the players and get in to a bit of speculation as to what we can expect. The World Championship match will be played between November 11th and 30th. The venue has been constructed in the Fulton Market building, New York City, United States of America. It will be a 12-game match, of classical chess. The time control is: 100 minutes for the first 40 moves, 50 minutes for the next 20 moves and then 15 minutes for the rest of the game plus an additional 30 seconds per move starting from move 1. The player who reaches a score of 6.5-points will be declared the winner. If the scores are level after 12-games, 4 rapid tiebreak games will be played. The prize fund for the match is a reported 1-million euros, though this is unconfirmed. Players must be present for each round at least 10-minutes before the start for the purpose of security checks. There are to be no draws before move 30, unless approved by an arbiter in the case of repetition. Playing Days: Nov. 11, Nov. 12, Nov. 14, Nov. 15, Nov. 17, Nov. 18, Nov. 20, Nov. 21, Nov. 23, Nov. 24, Nov. 26, Nov. 28, Nov. 30 (if tie breaks are needed). Rest Days: Nov. 13, Nov. 16, Nov. 19, Nov. 22, Nov. 25, Nov. 27, Nov. 29. Prize Fund: 1-million euros (Unconfirmed). Notable Points: No draws before move 30, unless approved by the arbiter. DOB: November 30 1990 (25 Years) Tønsberg, Vestfold, Norway. White: Sicilian Defence, Ruy Lopez, Slav, Nimzo-Indian, French Defence. Black: Sicilian Defence, Ruy Lopez, Queen’s Indian, Nimzo-Indian, Queen’s Gambit Declined. Magnus became a Grandmaster in 2004, aged 13-years 148-days, which at the time made him the youngest in the World. He is the third youngest GM in history. Having already notched up a huge amount of accomplishments within chess, he became World Chess Champion in 2013 by defeating then reigning champion, Viswanathan Anand. In 2014, he retained his title, again defeating Anand. 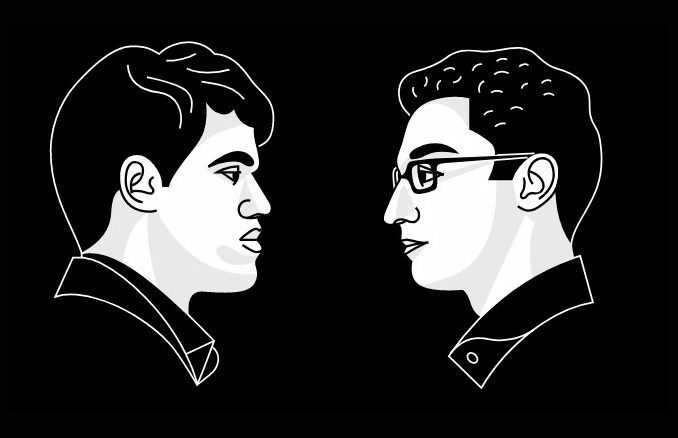 As the reigning World Chess Champion and World number 1, Carlsen is the obvious favourite for this match. He is without doubt one of the best players (if not the best) that the game has seen to date and his list of accomplishments in chess speaks for itself. According to Norwegian journalist, Tarjei J. Svensen, writing for Chess24, Carlsen has won 22 super-GM tournaments in his career. This includes Wijk aan Zee, which he has won 5 times. Carlsen’s strengths are numerous, and he has developed widely as a chess player over recent years. After having a rather aggressive playing style in his early years, he now has one of great flexibility and adaptability. One thing that I think sets Carlsen above the rest is his ability to generate play from seemingly nowhere. Somehow he is able to see the potential within positions like no one else. In the rare cases that Magnus does make serious errors, these tend to be positional and perhaps down to over-confidence or just not being up for it on the day. Karjakin will have to spot such errors and take full advantage of them if he is going to have a chance in the match — I do not expect them to come often! DOB: January 12, 1990 (26 years), Simferopol Russia/Ukraine (status is disputed). White: Sicilian Defence, Ruy Lopez, French Defence. Black: Sicilian Defence (good experience with the Najdorf), Ruy Lopez, Queen’s Indian, Nimzo-Indian, Slav. 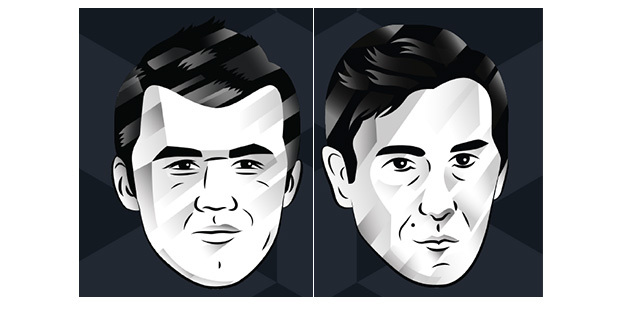 Like Magnus Carlsen, Sergey Karjakin is a chess prodigy. He became a chess Grandmaster at the age of 12 years 7 months and remains the youngest player ever to have achieved the title. His rise within chess has been steady thanks to consistency. Switching chess federations in 2009, from Ukraine to Russia, has benefitted him a lot, giving better access to sponsorship and quality training and events. Since then, he has won the Norway Chess Tournament twice, the World Rapid Chess Championship, and shared first place in the 2012 FIDE Grand Prix. Sergey qualified for this match by winning the 2015 Candidates tournament, (for which he had earned his place by winning the 2015 Chess World Cup). On his way to his 8.5/14 score, he dropped only one full point (to Anand) and beat Caruana, Anand, Nakamura, Topalov. In my opinion, Sergey Karjakin is a vastly underrated chess player. To be fair, he was not one of the common names on people’s lips when speculating who would be facing Magnus Carlsen in this match. These tended to be the likes of Fabiano Caruana, Anish Giri, Maxime Vachier-Lagrave, Levon Aronian. While all this was going on, Karjakin lurked quietly in the background, away from the limelight, and seized his chance at the board. And in a way, this is very like his chess style, which can be steady and methodical, but can switch to that of a hungry lion when presented with an opportunity. This is a bit of a double-edged-sword, in that it could make for very exciting games, but if he plays too quietly and is too hesitant, it could land him in all kinds of trouble. It is beyond question that Sergey Karjakin goes into this match as the under-dog. However, he is unlikely to be turning up just to make up numbers and/or have an easy payday. I think that exactly how much he is able to ‘challenge’ Magnus, will depend upon how quickly he can settle. It is his first World Championship and this is to Carlsen’s advantage. Although it might be tempting for Karjakin to opt for a quiet start in an attempt to play himself into the match, I think that this would be misguided. I just don’t think he has the time for it and should try to apply pressure right from move 1. If he has serious ambitions of pulling off an upset, there is no other way in my opinion, the gloves have to be off and no holds barred. In order to win, he may have to be prepared to lose and take risks. If he allows Carlsen safe positions, (as I have alluded to above), he is likely to suffer for it. Openings will be interesting. We may well see some interesting debates in the match, with both players being very familiar with the Ruy Lopez and Sicilian especially. Whether this is a good or bad thing from the spectator’s point of view, we will just have to wait and see. Magnus is able to play any opening, and tends to concentrate more on out-playing opponents than out-preparing them. In Karjakin’s case, I think that opening preparation will be more relevant to him and it will have to be good quality. As well as the Sicilian, Spanish, Nimzo, Queen’s Gambit Declined, he will have to watch out for the Scotch and English, which Carlsen has used to great effect in the past. Roll on game 1, then, let’s hope for fireworks! World Chess Championship Countdown: Carlsen-Karjakin, Wijk aan Zee 2012. Sinquefield Cup 2018, Round 6: Caruana Takes the Lead!